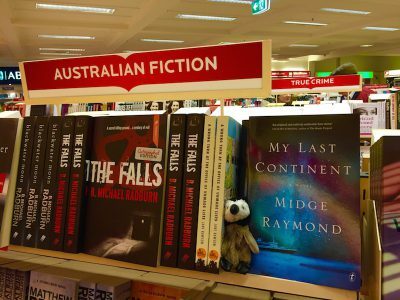 One of the great joys of visiting Australia is running into a Dymocks in every major city. 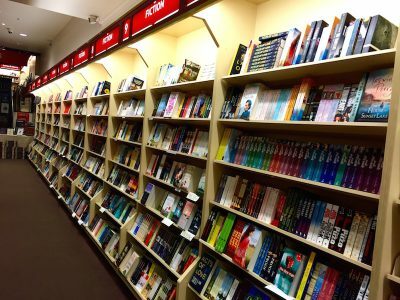 Down under, Dymocks is chain bookstore, with each one independently owned. 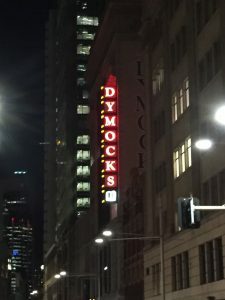 And thanks to Australia’s enthusiastic reading community, a Dymocks in any given city is always bustling. 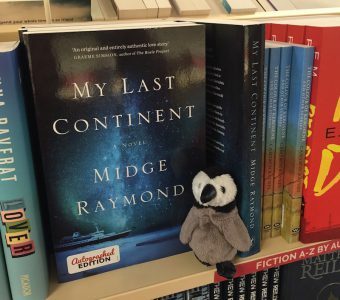 When My Last Continent first launched in Australia, I stopped in to the Adelaide location to sign books (with Admiral Byrd, of course). 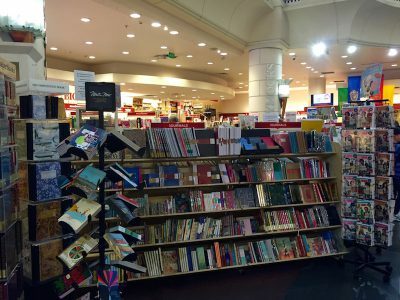 In Melbourne, the central business district store is gigantic, an absolutely heavenly place for book lovers, especially those of us from the U.S., where independent bookstores of this size and scope are more rare than ever. 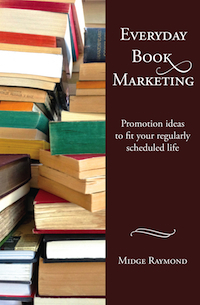 Of course, you’ll find not only books but plenty of cards, gifts, and other bookish delights. 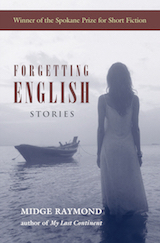 With row after row of bookshelves, filled with international books on every subject, the browsing is excellent. 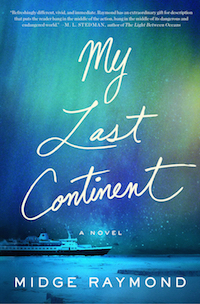 In Melbourne, I had a nice large stack of My Last Continent copies to sign. 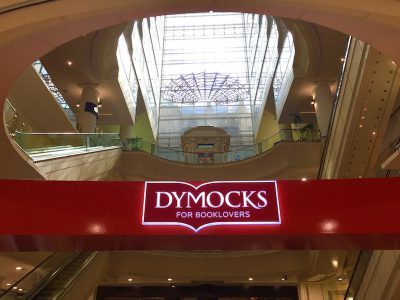 And the Dymocks in Sydney’s central business district is equally impressive in size and style. 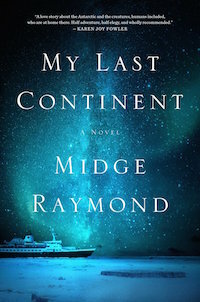 And it was a delight for Admiral Byrd to find My Last Continent in several places in the store, including Australian Fiction. 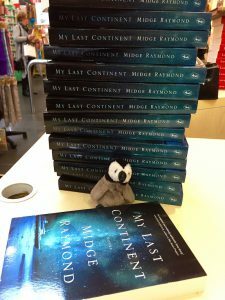 And Dymocks also provided bookselling at one of my Brisbane Writers Festival events, so I got to meet Dymocks people in every city I went to. 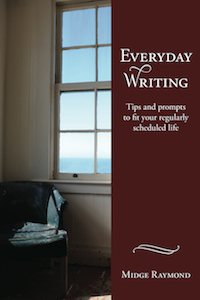 All the staff are welcoming, helpful, and passionate about books. 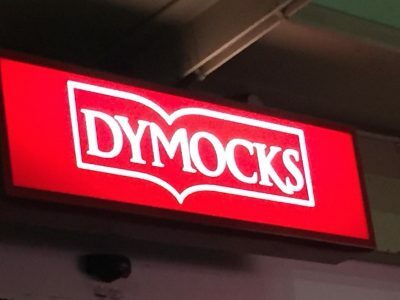 When you’re in Australia and see that cheery red-and-white Dymocks sign, prepare yourself to lose a few hours…and enjoy!